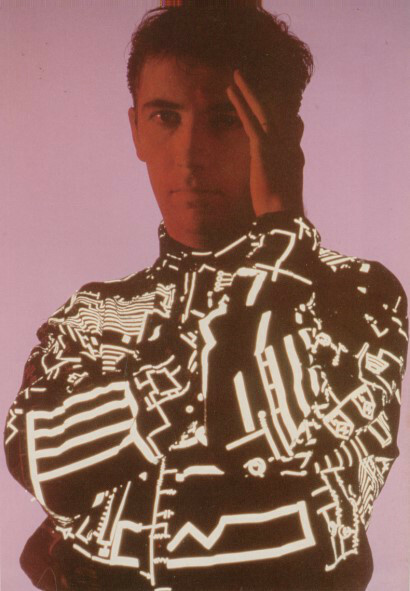 Pete modeling the second coolest shirt of the 80s. Late yesterday afternoon, the junior designer came up to me bearing news that “the singer from The Buzzcocks has died!” Incredulous, I had no idea that Pete was dead, but his relevance to the Punk and Post-Punk worlds was significant. I first heard The Buzzcocks when I saw the video for “What Do I Get” on Rockworld. I never really bit for that band, for one reason or another while they were first active. They re-wrote the rules for everything that followed when the original lineup had the audacity to press up their own 7″ record. Making the D.I.Y. ethos of the Punk movement officially begun. If Shelley had never recorded another note, that would have been enough for a place in the history books. 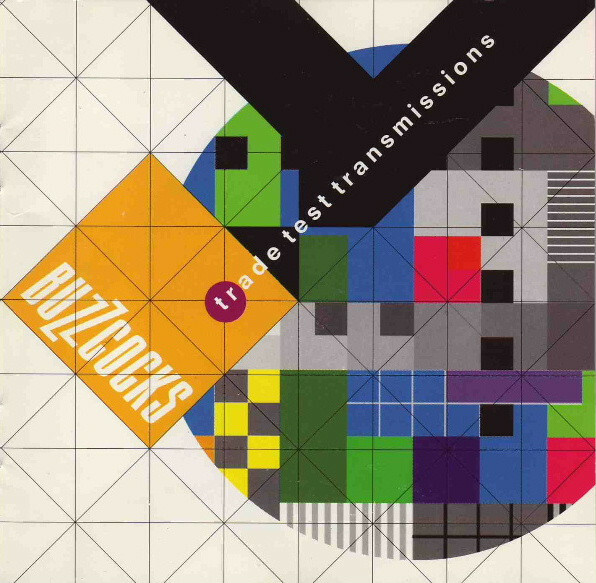 But by the time that I knew about the Buzzcocks, I was already deeper into synthesizer music, making the breakup of The Buzzcocks in 1980 an entry point for lots of Pete Shelley in the Record Cell since his solo career that kept him busy from 1981 to 1988 was awash in technological pop. I first heard “Homosapien” on college radio and had to have this album. I first sprang for the mandatory 2×7″ pack of “I Don’t Know What It Is” to get one of the best B-sides of all time – “Witness the Change.” That song was so hot, that WPRK-FM [the aforementioned college station] was playing it with regularity. At the time, the juxtaposition of acoustic rhythm guitars with synths and drum machines was defiantly exotic. A new sound was being brewed and the “Homosapien” album was the play lab that enabled it. The stage was set here for the next step on Human League’s “Dare” later in the year,” which would bust open the charts with the new way of making albums. Meanwhile, Pete had a solo career that was as far from the punk pop roots of The Buzzcocks possible. 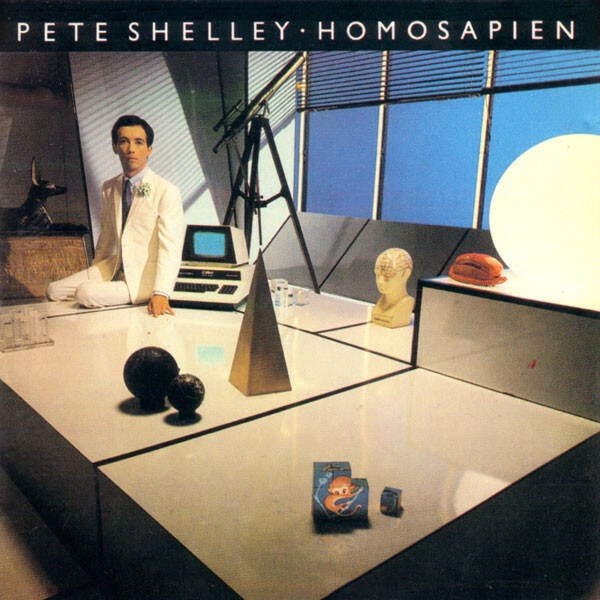 The queer core embedded in “Homosapien” insured that it would not become the hit that “Don’t You Want Me” eventually would become, but don’t tell that to the club denizens who took to this anthem and the very first excursions into electro-dubspace that filled the 12″ singles from Pete Shelley. Rushent applied honest dub technique to electronic sound and in the process became the go-to producer of 1982; at least until “Poison Arrow” byTrevor Horn dropped and changed the game overnight. I had heard that Pete Shelley was doing a solo tour of the US with machines and tapes in tow, but the closest it came to me in Orlando was Atlanta and those games didn’t happen for years. Meanwhile, I haunted the Record City store asking when Pete’s second album was ever getting released. It seemed like an eternity but in early 1983 it finally got a domestic release and I wasted no time in buying it or the pre-release 12″ single of the mighty “Telephone Operator.” “XL-1” was a more consistent outing than “Homosapien” had been. I had the US version of the former album, and it had some B-sides swapped int the running order for a few of the left-field tracks that were a strange fit for the album. At least “XL-1” was intact in comparison. After three year wait, Shelley re-emerged with an album produced by the inescapable Stephen Hague. It wasn’t bad. The singles were strong, but it seemed to lack a certain flair the first two albums had in excess. Maybe the sad fact was that by 1986, everything pop was synthpop. In the last decade I’ve been tracking down the 12″ singles from this album as they are the only Shelley rarities not on CD. Following that album, Shelley seemed to disappear, until three years later the ’81 Buzzcocks lineup reformed for a series of gigs. The main duo of Shelley and Steve Diggle would helm various versions of the band and in 1993 they made a new album that is the only Buzzcocks in the Record Cell: “Trade Test Transmission.” No… wait. That’s not quite true, I just remembered that I have a Buzzcocks laserdisc [which I’ve never seen] that came out in the USA [!] in 1990 called “Live Legends.” I think it’s a show from 1980. I’ll need to crank that one up and finally watch it this weekend. 1994 finally brought the CDs of “Homosapien” and “XL-1” but owing to the budgetary impact of my first computer purchase [a top of the line 1993 Macintosh @ $4500 – really] and a move that happened at the same time, I did not get these CDs for another 7-8 years. The “Homosapien” CD had some clear editing errors that saw the beginnings and endings of the bonus tracks all messed up, but if listened to in a linear fashion, it sounds just fine. All of the bonus tracks that either album required were added. Around that time was the one time that I actually saw The Buzzcocks live at the club at Jannus Landing in St. Petersburg. My friend Tom was just back from the UK with a British wife who loved two bands more than any other: Gong and The Buzzcocks. I know, I know. I can’t make up that sort of thing. Would I be interested in seeing them in St. Pete? Most definitely! I got to meet Tom’s wife and I drove us all the 90 minutes to the gig. The band were inside the club at Jannus Landing, not the patio/outdoors venue. It was a zippy, upbeat concert that had everyone singing along with the closing “Everybody’s Happy Nowadays.” We got back into town after 3:00 and fortunately, I was a lot younger then. Four hours later it was off to work with me. Looking back, I’m so glad that I made the effort! It would be my only Pete Shelley concert moment. One thing that has stuck in my craw was how difficult it was to get the Buzzcocks albums on CD. The “Product” box in 1989 would have been the thing to buy to finally take the Buzzcocks plunge, but I never saw it in anything but the cassette version in any record stores I traveled in. It’s still on my want list. I’ve been a little better at buying all of the ’84-’88 solo singles that were not on CD, with the exception of “Homosapien II” from 1989. 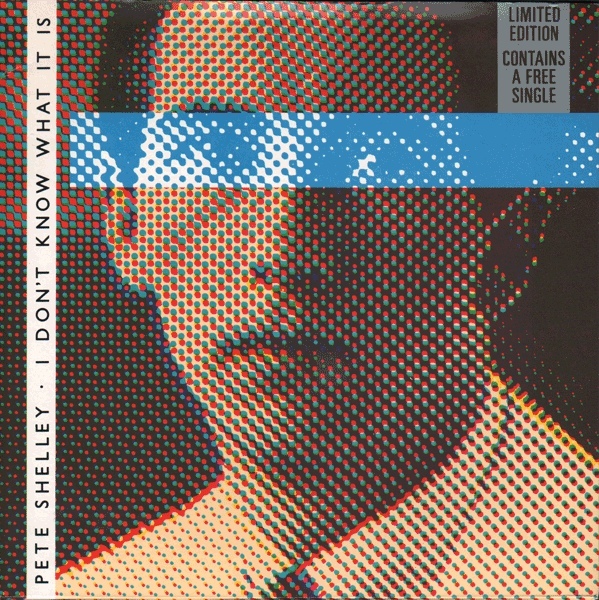 That one I’ve never seen, but I have “On Your Own” and recently got “Blue Eyes.” I still need “I Surrender,” “Never Again,” and “Waiting For Love” [in addition to “Homosapien II”] to craft that Shelley rarities REVO edition, Be sure to play some Pete Shelley; Buzzcocks or solo, this weekend as we mourn the loss of a vibrant talent who managed to blaze vital D.I.Y. trails in addition to being the 800 lb gorilla of punk-pop, and also a maker of dynamic club music that blazed new trails for synthpop at the dawn of the genre. This entry was posted in The Great B-Sides and tagged 2018, Buzzcocks, obituary, Pete Shelley. Bookmark the permalink. Cary Berger – Has it really been that many months since we met for Ron’s tribute? I’m frantically busy. Life’s short – as Pete unfortunately found out! He died at 63; the same age as Martin Rushent [insert stinger]. …Conspiracy? Very well done. I wish I had seen Shelley or Buzzcocks on stage at some time but it was not to be! P.S. A friend told me she had a drink thrown in her face back in 1981 because she kept reminding people it was “Buzzcocks” not “The Buzzcocks.” Please don’t waste good alcohol by throwing a drink towards NYC…just thought you would want to know. Cheers! Jeremy Shatan – Was it a war on the definite article back then or what? What, you’re not fan of The Devos? Actually my bigger peeve is the punctuation error in both the B-52’s AND the Go-Go’s. Grrrrrrr! JT – Mine too! I always want to correct myself when I type it, and have to remember not to. Save us, Bob! I know Buzzcocks intimately, but this is a fine tribute to a period of Pete’s music with which I’m less familiar. The Swede – Glad to be of service. I still have that Buzzcocks-shaped hole in my life. I had the pleasure of seeing Shelley during the Buzzcocks tour that hit Calgary in May 2010. Fantastic show; all the hits, very tight musically and relatively long esp. given the average song length. Only oddity was seeing Shelley with the Santa/Letterman beard; I have quite a few Buzzcocks concerts on DVD/VHS as I thought I’d never see them live but was ecstatic when I heard they were touring Western Canada. So much better in real life in a packed 500 seat club. I also tried for a long time to get Product on CD, but given it never came in when ordered from a few suppliers. I did buy the cassette version though and the 48 page booklet was/ great reading pre-internet and the box was quite sturdy back in 1989 coming over from the UK. KeithC – yeah, I saw photos of that beard in the last few days. I am still incredulous that beards from the 1880s have been trendy with hipsters for the last decade. It boggles my mind. Wow, so you had difficulty in buying “Heaven + The Sea?” I had no problem buying it on release as a domestic CD. It was only in recent years that I came across the UK LP of that title and the kinetic op art sleeve must have been a huge inspiration for Ultravox’s similar foray, 6 months later, with their massively inferior take on that concept. The much-derided “U-VOX” sleeve. But the “Heaven + The Sea” sleeve was brilliant. [no pun intended] they even came out with CD reissue a few years back that replicated the kinetic op art effect. Monk, Product is mandatory listening. It gives you all the Buzzcocks you need, and then just a hair more. But not TOO much more. Short of that, you must hear “Singles Going Steady” which is the second best new wave era singles collection issued pre-1984 out there, “bar one” (hence: second best… and you know me well, but I’ll bet you won’t guess my #1!). JT – What the…! Your last two comments didn’t go in the spam! Amazing! Yeah, I need to get “Product” on CD. It’s just too tightly curated and perfect. So, “Singles Going Steady” is your 2nd fave New Wave comp, but I can’t guess your first? Hmm. And #1 was issued pre-1984. I’ll have to do some research. From the sound of it, it’s nothing that I would immediately guess. I probably don’t even have a copy, not that my collection has too many g-hits albums anyway. I’ll take a wild stab here: “Snap!” by The Jam? All of the following is true and none of it is open to debate. Singles Going Steady is the best singles collection ever issued. 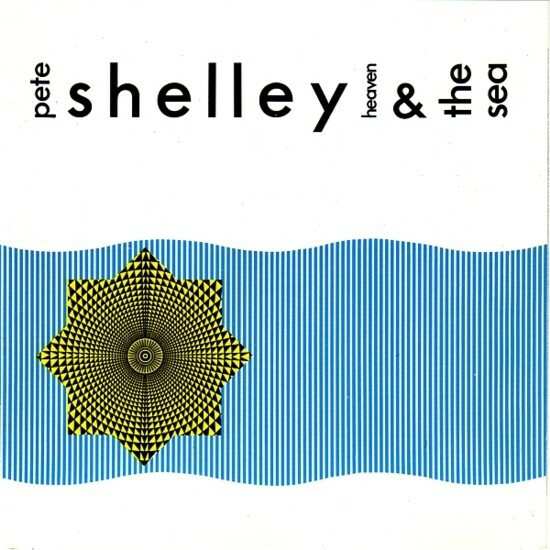 Pete Shelley was a voice of my youth. Buzzcocks were game changing, true disruptors. In that spirit, they never took control, but changed the game enough to make sure others never would again. Pete Shelley helped pave the way for an era of Electronic Pop. Echorich – Have you ever heard his Krautrock-ish “Sky Yen” album? That he made with a home made oscillator=, as I recall? Steve Diggle’s “What Am I Supposed to Do” is my fave song from him,* one of the three that made it onto this album (*I still haven’t heard the additional three SD songs they recorded for this album that got left off until they were re-added as bonus tracks on the Japanese edition). The whole thing is really just great, and IMO very underrated as a Buzzcocks album. The band always managed to make fantastic songs with lyrics that struck a chord (haw!) with the attendant periods of my life, emotions that I had definitely experienced and recognised in their lyrics. Sad for Pete’s sudden exit, but glad that he left behind an incredible body of memorable work. It made me remember your recent post about the first (wrong) impressions. Maybe I should add Pete to the list, too – at first I found his voice hardly bearable! Why ruin this good music with such vocal style?! And yet, as time wore on, I started to actually like his singing! Don’t know what happened, but here we are. Played his assorted music over the last couple of days and it’s such a great synth-rock! Probably that’s why it only remained a cult success, sadly. Could never grasp Buzzcocks, on the other hand. Not that I tried in any way, I just can’t get punk without synths, I’m afraid. Vlad – I get that about Shelley’s voice. Some voices are idiosyncratic and not for everyone. There are vocalists that I simply cannot abide. Roland Gift. Jimmy Somerville. I can understand some people having difficulty with vocalists that I like, such as Shelley and Andy McCluskey. Glad you finally came to enjoy Shelley. 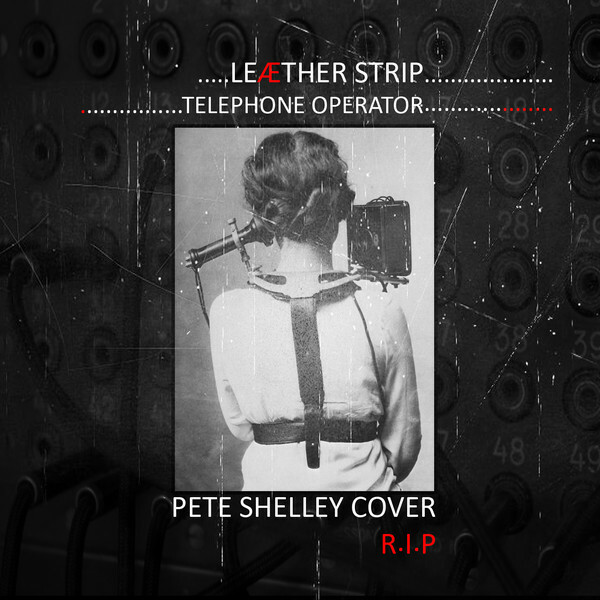 I was so glad 8 found the video for “Telephone Operator” on a platform for embedding that wasn’t Y**T*b*. It’s my go-to Shelley track. Fully agree on Sommerville and Gift. Though I quite enjoy “Smalltown Boy”, maybe more for nostalgic reasons as it was one of the first videos I ever watched, but it’s also a great synth-dance tune and vocals are not as overpowering as on their other stuff. Fine Young Cannibals I just can’t get to this day. Falcetto vocals, I feel, should be used sparingly, not as a lead. I have one of these, but it’s got about maybe a dozen wearings left in it as I leaned heavily on it in the 90s. Vlad – I get that about Shelley’s voice. Some voices are idiosyncratic and not for everyone. There are vocalists that I simply cannot abide. Roland Gift. Jimmy Somerville. I can see some people having difficulty with vocalists that I like, such as Shelley and Andy McCluskey. Glad you finally came to enjoy Shelley. I was so glad 8 found the video for “Telephone Operator” on a platform for embedding that wasn’t Y**T*b*. It’s my go-to Shelley track. Nice writing, Monk. I too, penned my own tribute to Pete Shelley. Buzzcocks were pivotal in my early musical exploration – I couldn’t get over how deftly they fused punk speed, energy and spirit with melody to create the catchiest tunes. Shelley’s avoidance of gender specificity in his tales of love and woe really resonated with me, long before I ever knew of his own bisexuality. When the band broke up at the end of the 70s I thought I’d be left with their indelible run of singles to keep me company, never thinking Shelley would veer into synthpop as a solo artist. Homosapien was an absolutely crucial record for me, and remains one of my all-time favorite lyric. Happily I was able to see Pete in concert solo once (when Heaven and the Sea was released…with the mighty Figures on a Beach opening!) and probably 6-8 tims with the Buzzcocks after the ’89 reunion. One of those shows had the band playing both Another Music In a Different Kitchen and Love Bites in full, for a thrashy good time. Pete, I’ll miss you so.